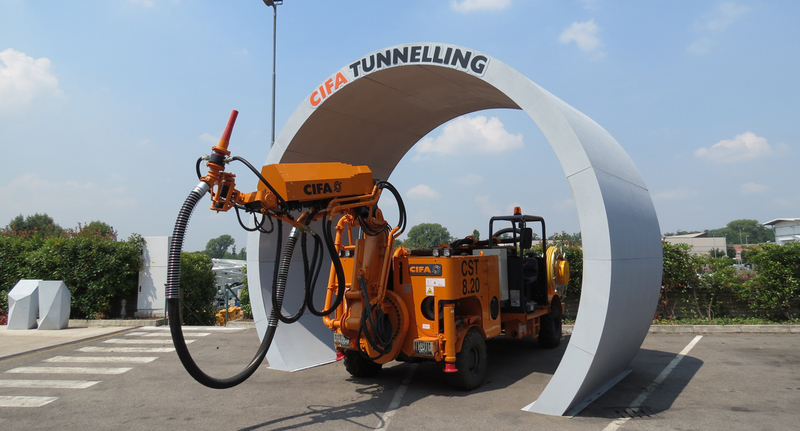 A brand new boom, designed and manufactured by CIFA and especially developed for mining and for small tunnels. 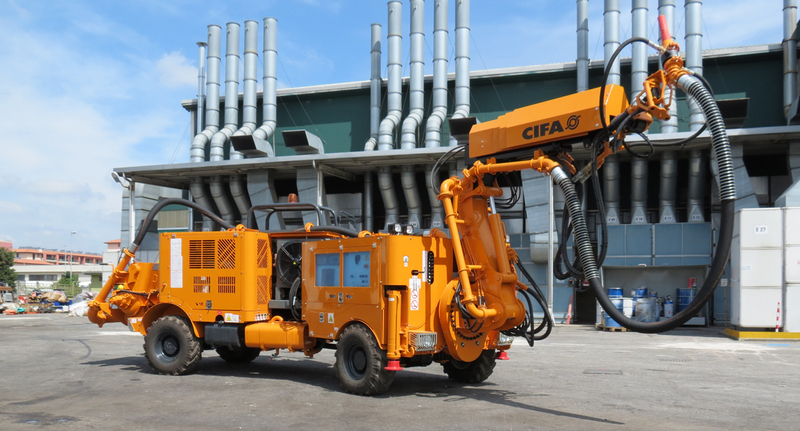 Robust and at the same time versatile and extremely precise on nozzle placement, it has a vertical reach of 10 meters. 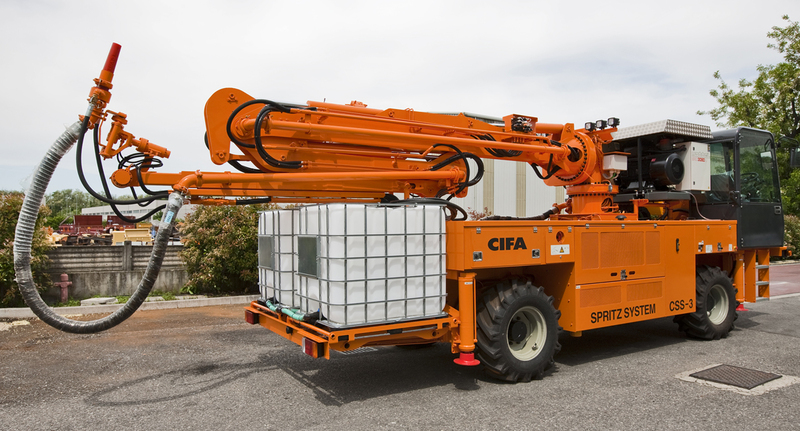 A unique boom feature is that it can be unfolded and positioned in driving mode and once the machines has reached the work place. 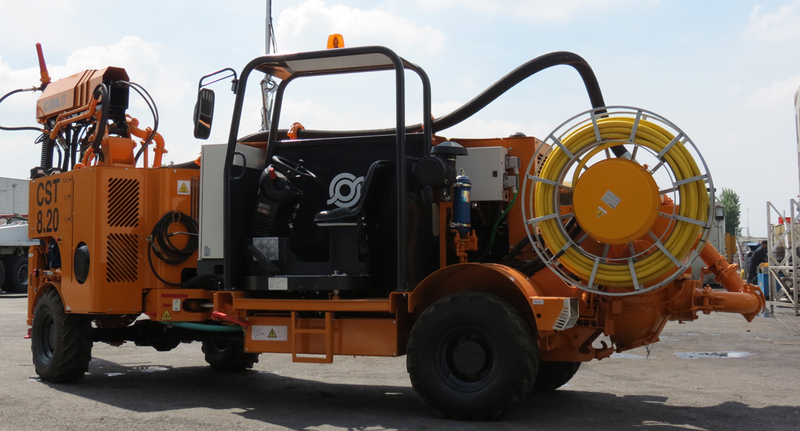 The boom has an horizontal slewing ring that allow the operator to follow the entire profile of the tunnel, at every height, with only one joystick movement on the proportional radio remote control. 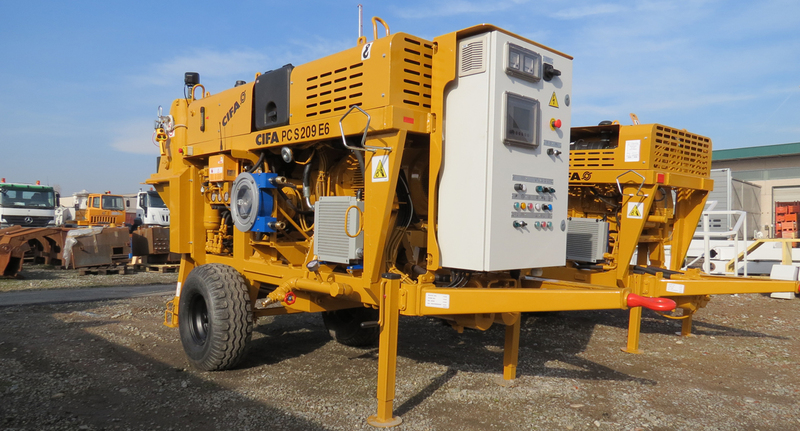 Central articulated turning chassis has small width dimension and high maneuverability. High clearance on front and back allows it to face off-road surfaces and serious slopes with great agility. The driving seat can be turned 180°. 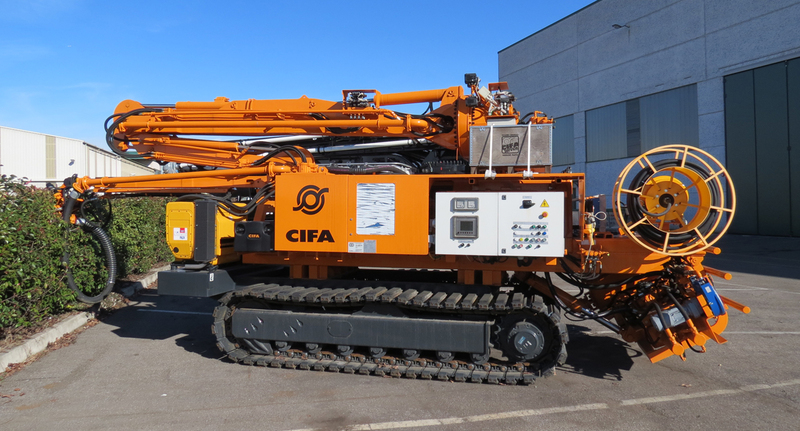 The boom, the chassis, the pumping unit and the additive dosing system UNIFLUX H1.0 are 100% designed, developed and manufactured by CIFA in order to ensure the best performance to our clients, on every job site.